To subscribe to South Shore Ave, click onto the Follow button, and enter your email address, or click onto the RSS Feed. Very special thanks to Shawn Adonis for his guest appearance on this podcast. Click on 2016 and 2017 to check out the MVP pods from past years. This entry was posted in Culture, Music, South Shore Ave Radio, Sports and tagged Black Excellence, Black Panther, Buju Banton, Cardi B, Colin Kaepernick, Drake, Eric Reid, hip hop, Marvel, Meek Mill, Michelle Obama, Pusha T, Yara Shahidi on December 29, 2018 by Cal Cee. Today on The Ave Podcast, we celebrate the movie Black Panther. I invite Andrew Mambo from ESPN’s 30 for 30 Podcast, as well as DJ Keo to take a deep dive into the blockbuster smash. We share our thoughts on the pre-hype lead up to the movie & how it affected the culture, the portrayal of women, what this movie does for black movies going forward, the influence of Black Panther on a younger generation overall, our Erik Killmonger POV, decomposing the stereotypes of Africa, plus a whole lot more. Like a ton. To subscribe to South Shore Ave, click onto the Follow button, and enter your email address, or click onto the RSS Feed. Very special thanks to Andrew Mambo & DJ Keo for their guest appearance on this podcast. 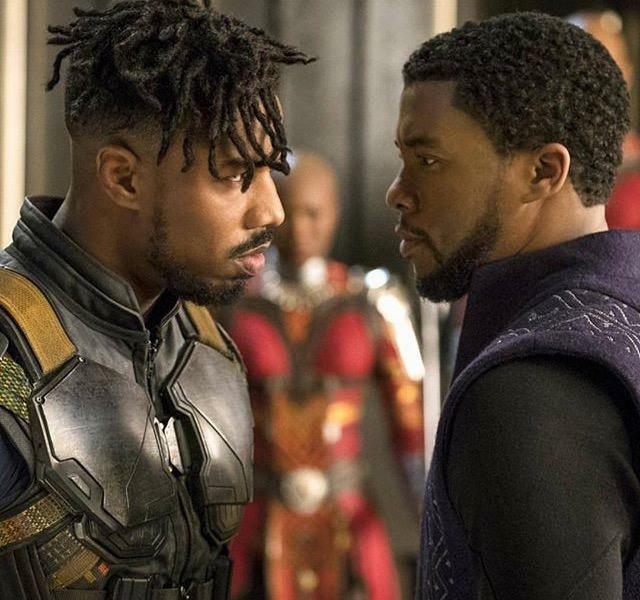 This entry was posted in Culture, South Shore Ave Radio and tagged Angele Bassett, Black Excellence, Black Panther, Chadwick Boseman, Comics, Danai Gurira, Daniel Kaluuya, Forest Whittaker, Lilita Wright, Lupita Nyong'o, Marvel, Michael B. Jordan. Ryan Coogler, Stan Lee, Winston Duke on March 2, 2018 by Cal Cee.